Calling all investors! What a great project! 4 bedroom/ 1 bath home with just over 2200 SF. Located on a huge corner lot/ .33ac. Large work shop/storage shed with electric and plumbing. 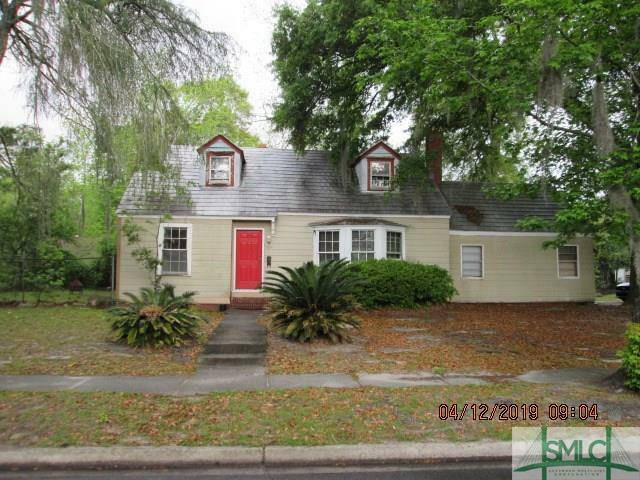 Minutes to downtown Savannah or minutes to islands. Conveniently located to shopping, schools, and restaurants. Eat in kitchen, formal dining, living room with fireplace, bonus room. All original hardwood flooring. Property being sold in "AS IS" condition.